Buy a FINAL EXPENSE LIFE INSURANCE Policy from your local Richmond, Virginia agent. Compare top rated companies to get the cheapest premiums. Our goal is to provide seniors the best final expense insurance policy with a top rated company and the lowest premiums. Buying a final expense insurance policy guarantees that you’re insured for your entire life. It will provide your loved ones left behind funds to cover the cost for funeral expenses, hospital bills or outstanding debts. Final Expense Life Insurance policies are different from burial protection policies, because most burial plans only cover the cost of the funeral service. A final expense life insurance policy lets you fit the policy amount to your needs. You can select $5,000, $10,000, $25,000 or a larger amount if that best fits your needs. If you don’t know how much life insurance is right for your situation we can determine the amount with a needs analysis life insurance calculation, free of charge. Final Expense Life Insurance plans require No Medical Exams. These policies are processed as simplified issue and you are only required to fill out a short application. Final expense insurance is a great option for seniors that do not qualify for traditional life insurance products, because they can’t pass the medical exam. If you have things like heart conditions or other pre-existing conditions, you can still qualify in most cases for a Final Expense Life Insurance Policy. Listed below are just a couple of examples of Final Expense Life Insurance policy highlights from 2 of the Top Rated companies we work with. Offering level premiums to age 121 for applicants up to age 85, Transamerica is another fine choice when looking for an affordable final expense or burial whole life insurance. This policy has a minimum face amount of $1,000 and a maximum up to $50,000 for applicants age 55 and under, $40,000 up to age 65, $30,000 up to age 75, and $25,000 up to age 85. That is why this is a great final expense product for older applicants who need a bit more coverage. 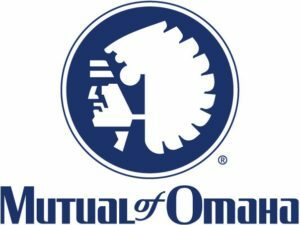 Available for ages 45-85, United of Omaha Life Insurance Company offers a great level benefit policy. This is whole life burial or final expense insurance policy that builds cash value. Face amounts range from $2,000 to $40,000. There is a background check including the medical information bureau and prescription drug database. The insurance comes with an accelerated death benefit rider which pays out early if the insured is diagnosed with a terminal illness and given less than 12 months or if the insured is confined to a nursing home for more than 90 days and is expected to remain confined for the duration of the insured’s life. If you need cheap burial life insurance that builds cash value and offers some unique riders, this is a great choice. Contact SMH Insurance today for a free no obligation quote!